I've been back home in Toronto for a few weeks, visiting my parents. It's been a great reminder of what real winters are like in Canada. Since I've been here, the weather has gone from a balmy 14°C to -20°C, to back up to 12°C and down again. There was no snow cover at all during the most bitter cold spell, just howling winds that pushed the cold into every little corner. I can't imagine being a tiny, defenceless plant during these times, with no barrier at all against the elements. During the first warm spell, I inspected the garden and discovered that all sorts of plants had put out fresh growth, or broken out in tender bud. Mostly the usual suspects, such as snowdrops and hellebores, but still I cringed at the thought of what was to come for these little guys. After the awful weather cycles and severe cold spells, I went back to have a look. To my amazement, most plants looked like nothing at all had happened – they were as fresh and green as the day they first emerged. Many just kept right on growing. Only a few showed the true strain of the weather, but I’m sure they will also recover come spring. Here are a few before and after pictures, comparing plants before and after the severe unprotected cold cycles. The wonder of plants will never cease to amaze me. 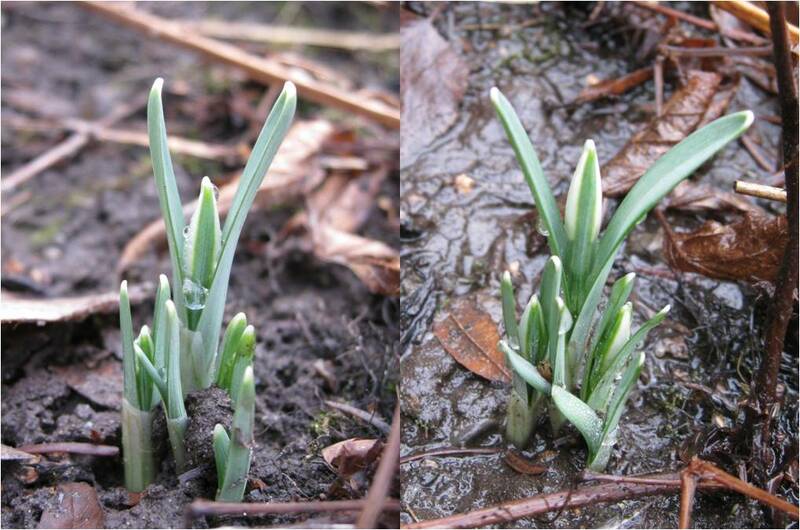 Snowdrops, looking completely unfazed before and after the severe weather. 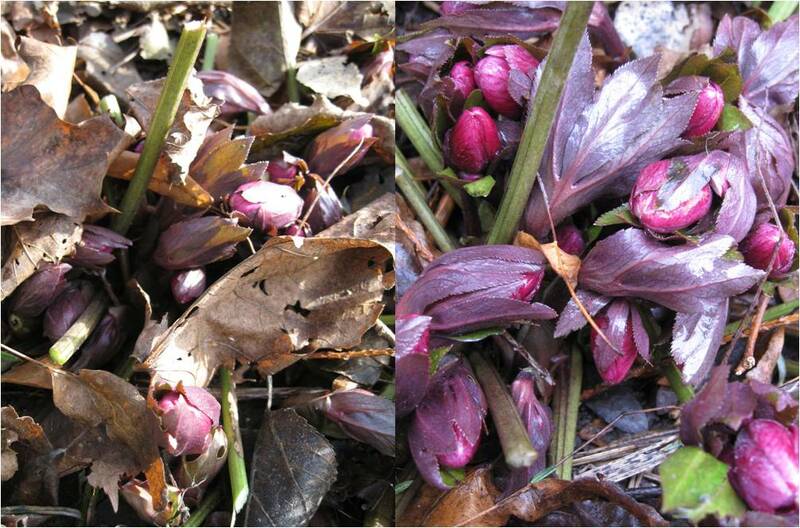 The dark flowering hellebore came through the weather conditions not only completely unscathed, but with significant growth. 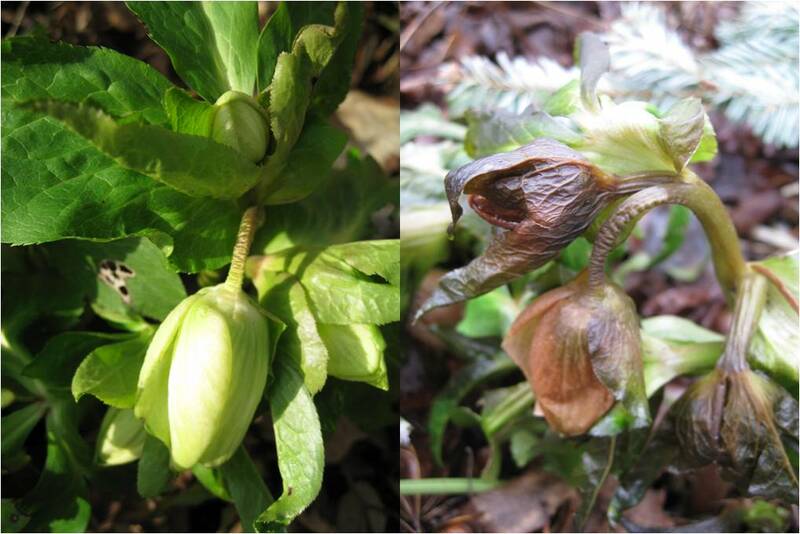 The light flowering hellebore, only a few feet away from the one above, did not fare so well. The new flower buds turned to mush.